When I was 8-years-old, the only thing I was concerned with was growing my collection of Sega Genesis games, and dreaming of the day that science, god, or other some divine providence would give me Wolverine's powers. I certainly wasn't as concerned with the well-being of my fellow classmates, like Cayden Taipalus is. 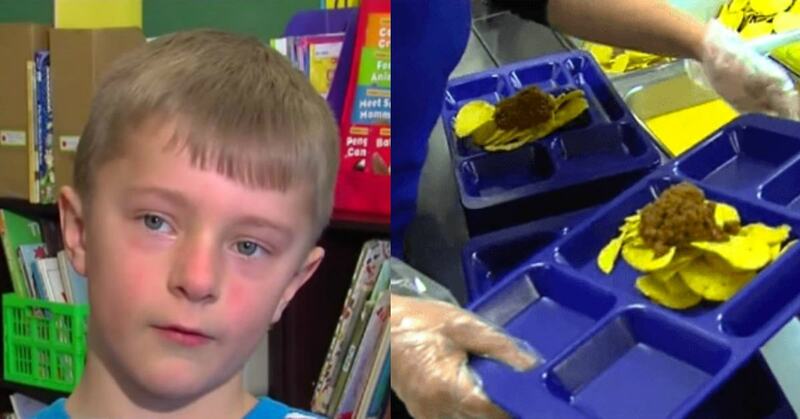 Cayden saw that his friend get a cheese sandwich instead of a hot lunch due to an account shortage. And it bothered him. In fact, according to Amber Melke-Peters, Cayden's Mom, it bothered him all the way home. He asked her how he could help his friend so he'd always have a hot lunch. 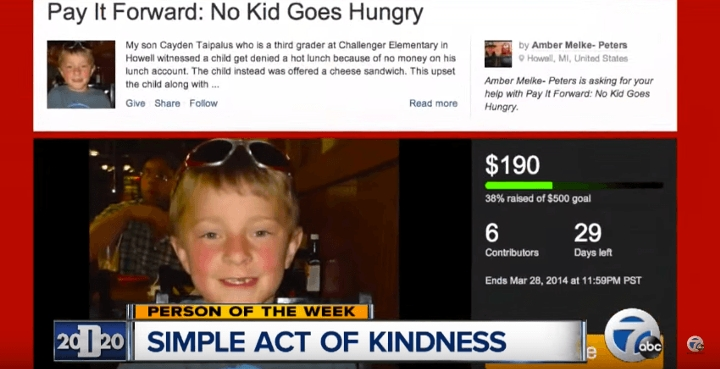 So him and his mom set up a fundraising web page called, "Pay it Forward: No Kid Goes Hungry". Cayden then hit up his friends, family members, and neighbors for donations to the fund. But it's not like Cayden was content to just ask other people for money, he also did his part by recycling bottles and cans to raise some money himself. 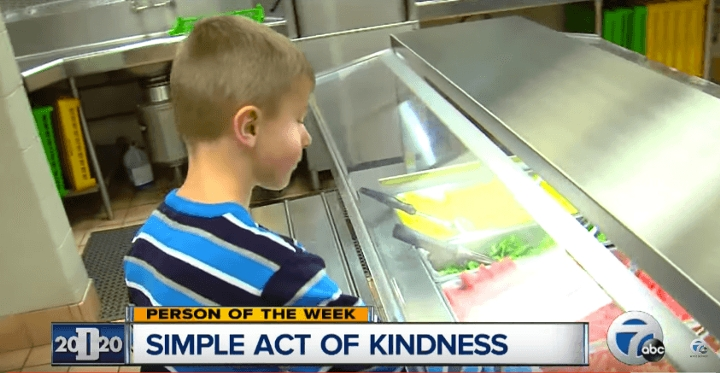 And after he used some of the $7,000 he raised for student's hot lunches all over his school to pay off their lunch debts, Cayden then asked the lunch ladies to add money into the accounts who needed money so they wouldn't have to worry about not having a hot meal ever again. “I am so very proud of my son. He is only 8 years old and to grasp the concept around this is just amazing in my eyes. He has a heart of gold.” His mom said. The staff members at Challenger Elementary School in Michigan were equally floored by Cayden's empathy. The kid wanted his friends to eat with him so he did something about it. I hope I raise my own kid to be as awesome as Cayden here.